It’s time for yet another giveaway (can you believe it?!). I hope you don’t mind. I’m feeling like Santa Claus, even though it’s the middle of October. That’s okay though because I promised you a while ago that there would be more giveaways and more chances for you guys to win free stuff. And who doesn’t like free stuff?! I know I do. 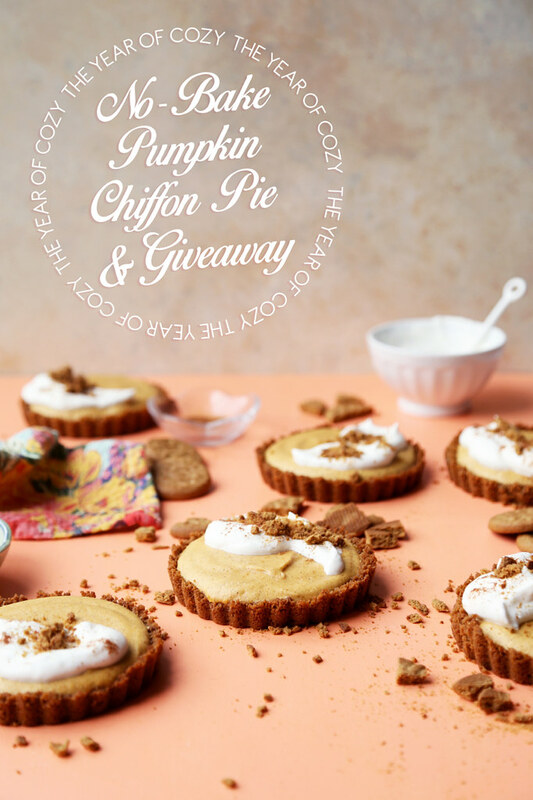 This time around I’m giving away a copy of one of my favorite cookbooks this year. 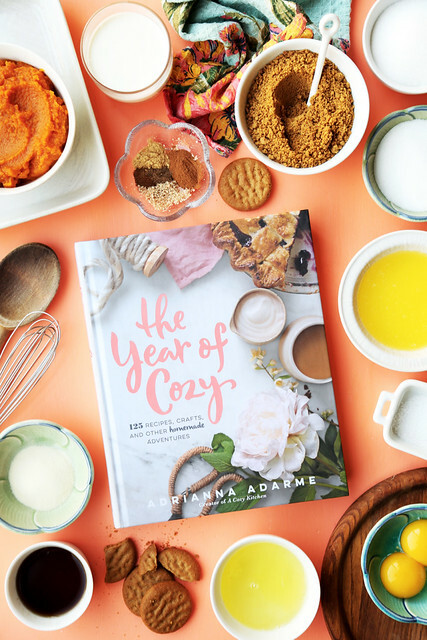 Adrianna from A Cozy Kitchen just released her second cookbook last week, The Year of Cozy. It’s not only beautiful and amazing and everything you never knew you wanted, but it’s also so much more than just a cookbook. It’s her blog come to life. Side note: the font on the cover is giving me life. I have a thing for fonts. It’s weird. I’m weird. Anyhow, it’s filled with seasonal recipes of course, but also, crafts that are super easy to make and life lessons and adventure suggestions and dog treats. Basically the book’s mission is to make you the coolest person on the planet, so if you want to be that cool (I want to be that cool) then you need this book immediately. 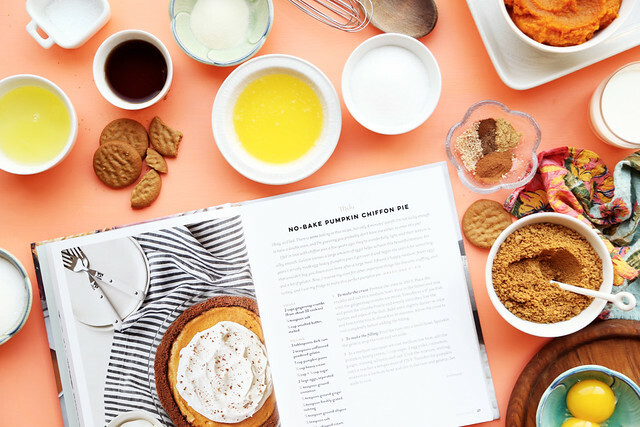 Since it’s pumpkin season, I figured we’d celebrate the release of Adrianna’s book by making the No-Bake Pumpkin Chiffon Pie! I’m all about the no-bake life. I’m also all about the giveaway life so here’s the lowdown on how to enter. I’m giving away a copy of The Year of Cozy to one random lucky winner. All you have to do is leave a comment below telling me (and my mom because she is the designated giveaway winner selector) what your favorite cozy comfort food is. It can be sweet or savory. And give us details (or at least a sentence more than a word) because we like to hear all about it. You have until Saturday to enter. I’m sending you all positive vibes because I want you to win.